Come join our family as we exchange a dusty southern summer for winter snow and Christmas in Alsace, France! “You are going to Alsace, Nancy, not France,” corrects my very Parisienne friend. Days later, another French friend, this time from Provence, confesses “It’s not where I’d choose to go in winter.” And then, during a French dictation exercise about the weather in France, the weatherman dolefully announces “Dans le nord-est de la France, en hiver, le temps n’est pas très agreeable.” Apparently, in the north-east of France, the weather is pretty miserable in winter. But I’m not daunted. I’ve found others who adore the region…although it took me a while to find them. I’ve got my Michelin Guide for Alsace, but I’ve also been looking for some more narrative style books about the region: something like the classic A year in Provence or Melbournian Jane Webster’s sumptuous “French Table” double-set. But there are surprisingly few books about Alsace in English apart from travel guides. The area hasn’t generated the wealth of travel memories and regionally-set fiction as Paris and the South of France. After a bit of concerted online searching, I finally tracked down two cookery based books. Neither of them recent – one from the nineties and one from the naughties – each with their own charm. Both speak of the region’s intertwining of its German and French heritage. Beginning with the Romans around 60BC, it was largely German on and off until being brought into the kingdom of France in the 17th century. Here it remained for the next 200 years until returning to Germany in 1871. Sitting as its does on the French-German border, the two world wars were particularly horrific for the alsaciens and it was severely attacked both times. Today Alsace is very much a part of France, but this history has left a distinct Alsacien spirit and culture, which Sue Style in her book A Taste of Alsace introduces us to with a variety of characters. Although I find the recipes a bit daunting in this book, these characters are warm and friendly, and give you a feel of the area’s charm. One memorable vignette is Sue’s early-morning tryst with an Alsacien baker. In the pre-dawn light, Sue struggles to find her way on the map. She spies the warmly-lit bakery like a beacon on night seas and spots the bakers, sleeves rolled up, hard at work within. Flour dust on the air and a momentary wave of heat greet her as she walks through the door. Then the “celestial” scent of the freshly baked loaves as they’re tumbled into a wire bin that will take them to market. A trip to the local boulangerie is now top of my list of first things to do! The second book I tracked down, The Patissier by Hossine Bennara and Susan Lundquist, is less polished but more personal. We hear the voice of Susan clearly as she shares this collection of Alsacien recipes themed for each of the 12 months of the year. 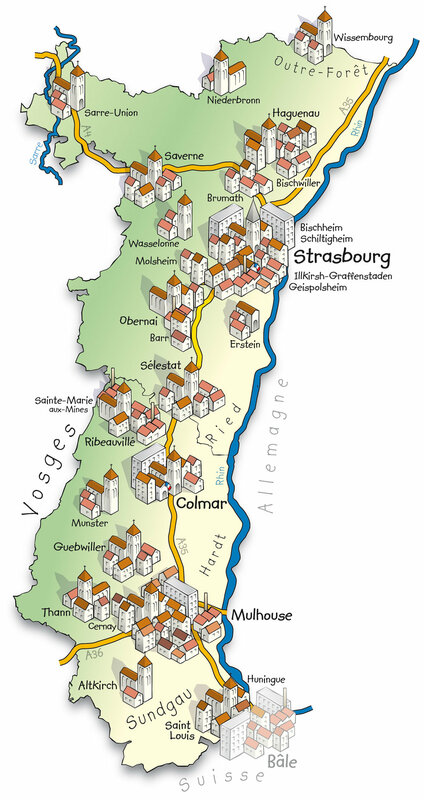 The book was the serendipitous progeny of two Americans’ sojourn in Strasbourg (the regional capital of Alsace). Susan and her husband have moved into an antiquated apartment. Accosted by a malfunctioning toilet and bedbugs, their sabbatical has not got off to a good start. But their woes are soothed by an encounter with their neighbour, who just happens to be an Alsacien chef. Consoled by his tarte flambée (Alsacien version of pizza) and apple pie, they quickly fall in love with this gastronomically gifted part of France – it has one of the highest proportion of hatted restaurants in the whole of the country. Reading these books, I begin to suspect that Alsace is somewhat of a hidden gem: unknown to many outside of France and rather misunderstood by those within. Perhaps the intimacy of residence will reveal to me the pleasures and treasures of Alsace. There must, after all, be a reason why the Swiss are so fond of this region. I’m intrigued by what I will find and keen to become a convert to the select group of Alsace-adorers. 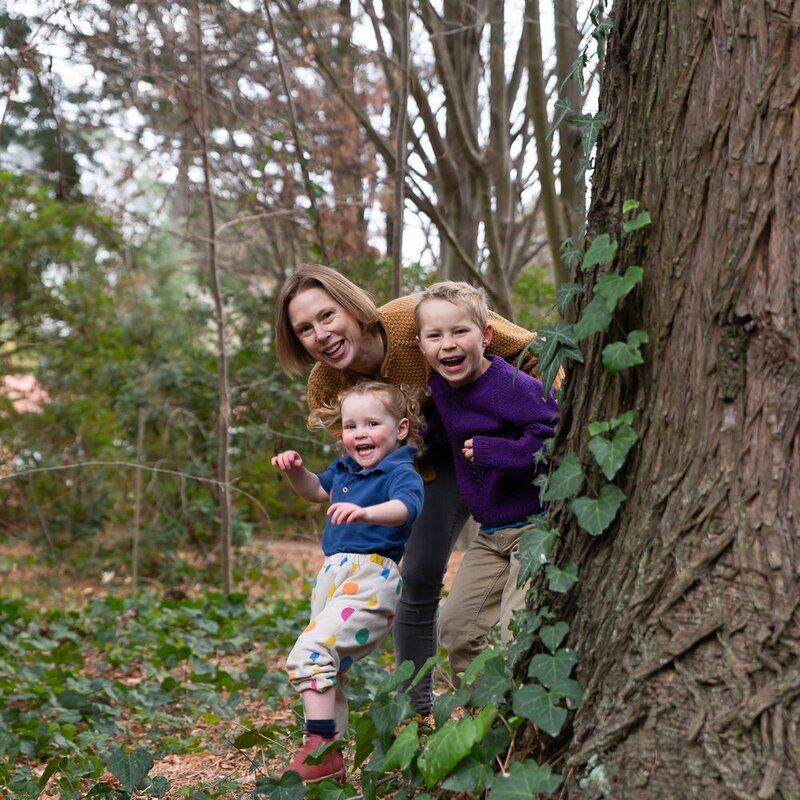 In this blog you’ll read about the ups and downs, and ins and outs of travelling to Alsace, France with two young children and setting up home there from scratch. Sign up with your email address to receive the latest post straight to your inbox.